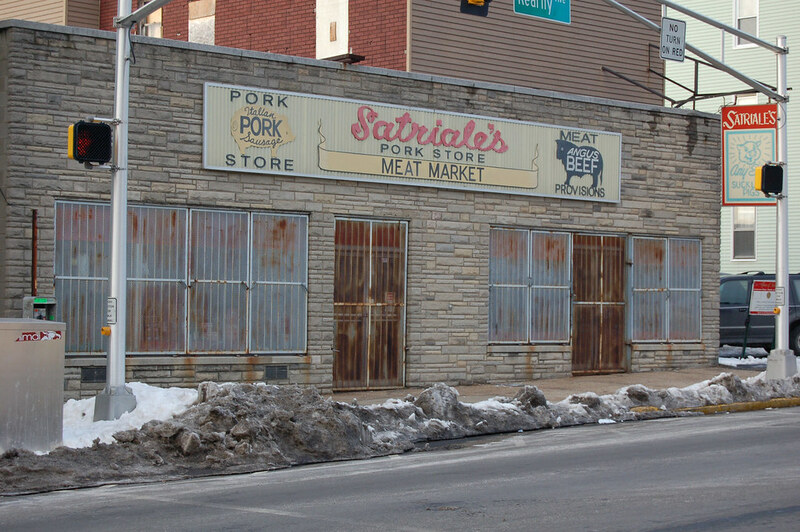 I just checked out Nancy's blog at Air America and saw that, as part of the weekend open thread there, she posted a pic of Satriale's Pork Store. I just did a radio interview with an AM radio host and he asked for my prediction for how the Sopranos will end. I said that a Soprano family member will die. Not very insightful, but I hate guessing about these things. He thought that Tony never woke up after being shot by Junior last season, and would wake up and discover this was all a dream. Not very inventive. One thing that will happen: I will cancel my HBO subscription after tonight. The Sopranos is the only reason I've kept it; otherwise I just use it to zone out and watch movies like the War of the Worlds over and over again when I'm too tired to think.